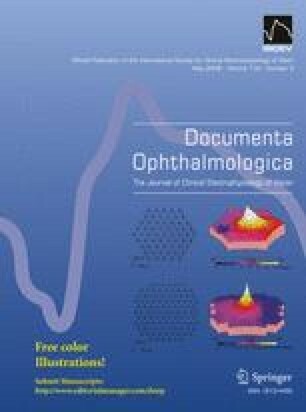 Retinal pigment epithelial function: a role for CFTR? In the vertebrate eye, the photoreceptor outer segments and the apical membrane of the retinal pigment epithelium (RPE) are separated by a small extracellular (subretinal) space whose volume and chemical composition varies in the light and dark. Light onset triggers relatively fast (ms) retinal responses and much slower voltage and resistance changes (s to min) at the apical and basolateral membranes of the RPE. Two of these slow RPE responses, the fast oscillation (FO) and the light peak, are measured clinically as part of the electrooculogram (EOG). Both EOG responses are mediated in part by apical and basolateral membranes proteins that form a pathway for the movement of salt and osmotically obliged fluid across the RPE, from retina to choroid. This transport pathway serves to control the volume and chemical composition of the subretinal and choroidal extracellular spaces. In human fetal RPE, we have identified one of these proteins, the cystic fibrosis transmembrane conductance regulator (CFTR) by RT-PCR, immunolocalization, and electrophysiological techniques. Evidence is presented to suggest that the FO component of the EOG is mediated directly or indirectly by CFTR.